Home / concert / kpop / malaymail / music / news / seventeen / tour / update / videos / Update: Ticketing details for SEVENTEEN concert in Malaysia are out! 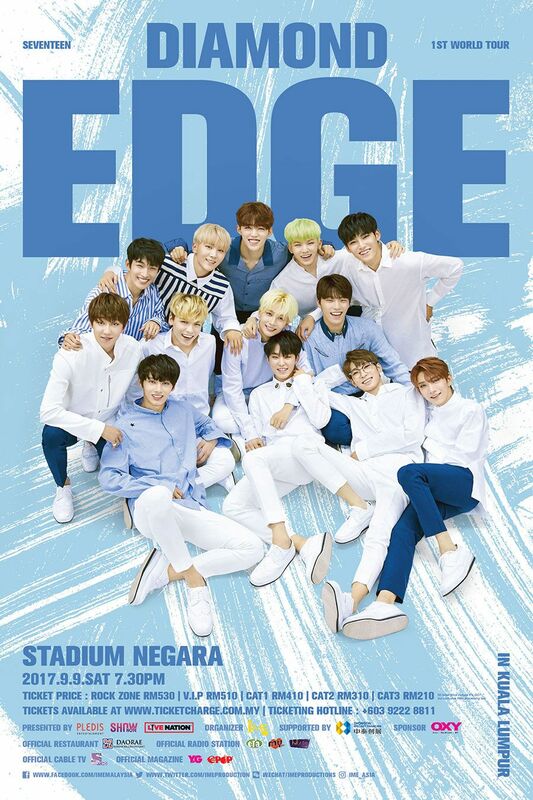 Update: Ticketing details for SEVENTEEN concert in Malaysia are out! UPDATED 6 July 2017: Ticket launch for 2017 SEVENTEEN 1st World Tour “Diamond Edge” In Kuala Lumpur will be held on Sunday 9 July at Cheras Sunway Velocity Mall, 1st floor V Boulevard Entrance from 11am till 3pm. Limited to only four tickets per person, a limited giant concert poster will be given away for ticket purchaser on the spot, on a first-come-first-serve basis. Meanwhile, online ticket sales will go on sale on the same day, starting from 4pm via ticketcharge.com.my. The tickets are priced at RM210 (CAT 3), RM310 (CAT 2), RM410 (CAT 1), RM510 (VIP), and RM530 (Rock Zone). 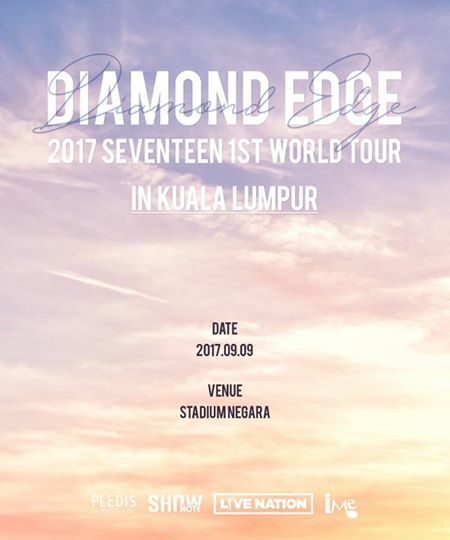 Due to popular demand, IME Asia will be bringing South Korean boy group SEVENTEEN to Malaysia for the 2017 SEVENTEEN 1st World Tour “Diamond Edge” this coming September. 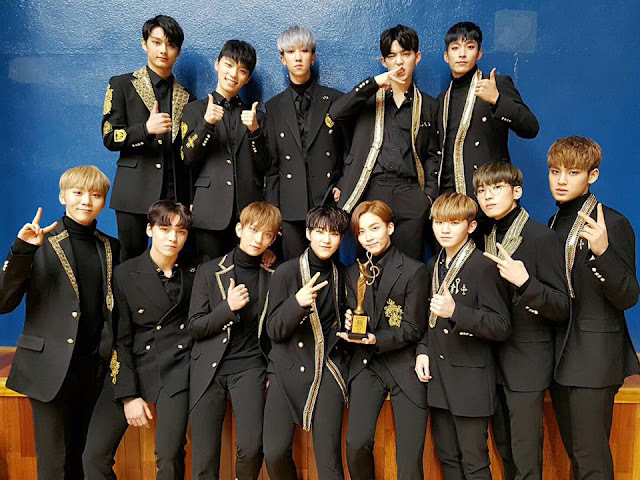 Despite their group name, SEVENTEEN only have 13 members who are separated into three different sub-units with different areas of specialisation such as a “Hip-Hop”, “Vocal”, and “Performance”. Though the group members are divided into 3 units, they are still under 1 team. 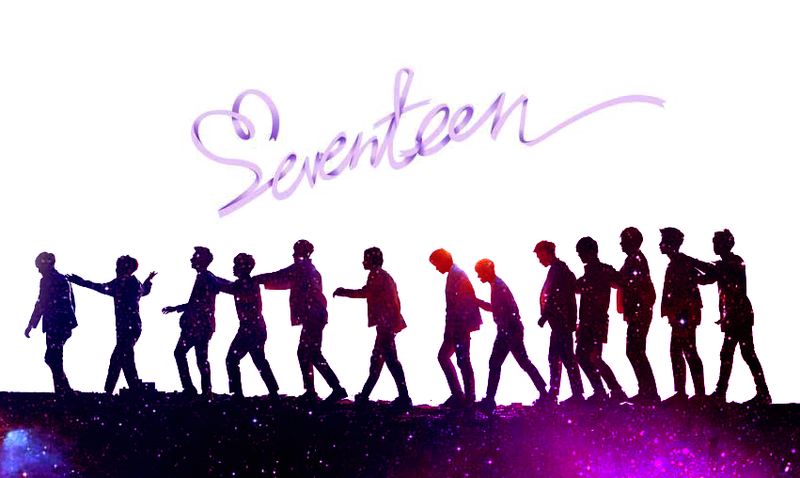 Thus, 13 members + 3 units + 1 team = 17 (Seventeen), which is their group name! SEVENTEEN is nicknamed as the “self-producing idol group” since they are heavily involved in the composition and production of their own music and choreography. Apart from Malaysia, the boys will also visit other cities in Southeast Asia such Jakarta, Singapore and Manila. Their Malaysia stop will take place Stadium Negara on 9 September 2017. Ticketing details are yet to be announced, stay tuned for more details.